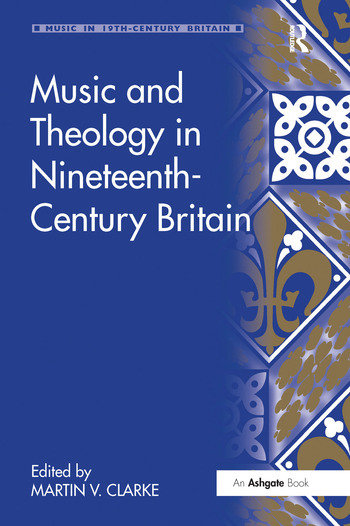 The interrelationship of music and theology is a burgeoning area of scholarship in which conceptual issues have been explored by musicologists and theologians including Jeremy Begbie, Quentin Faulkner and Jon Michael Spencer. Their important work has opened up opportunities for focussed, critical studies of the ways in which music and theology can be seen to interact in specific repertoires, genres, and institutions as well as the work of particular composers, religious leaders and scholars. This collection of essays explores such areas in relation to the religious, musical and social history of nineteenth-century Britain. The book does not simply present a history of sacred music of the period, but examines the role of music in the diverse religious life of a century that encompassed the Oxford Movement, Catholic Emancipation, religious revivals involving many different denominations, the production of several landmark hymnals and greater legal recognition for religions other than Christianity. The book therefore provides a valuable guide to the music of this complex historical period. Dr Martin Clarke is a part-time lecturer at Durham University, UK.